This page has various exercise related to ESL banking writing to help you improve your writing skills while also revising the ESL banking vocabulary you have learnt. A list of writing topics related to banking that you can use to write a short paragraph or long essay. A passage for you to read and then write a summary of it. Some data (a graph) that you should describe. Writing a role-play of a situation that might occur at a bank. Scroll down to find each part. Write a short paragraph or essay on the following topics about banking and visiting a bank. Try to use any new vocabulary you have learnt from the banking vocabulary page and write as much as you can. Discuss why it is important to open a bank account. Do you think it is safe to keep all your money in a bank? Describe what you think it is like to work in a bank. Below you have a short written passage about ‘How Banks Work’. Read and understand the passage before writing a summary. The summary should be shorter than the original but still contain all the main information. Remember to use new sentences and vocabulary so that it is different from the original. How do banks work is a question that many people wonder about. At the most basic level banks serve two types of customers: those that want to save money and those that want to borrow money. Of course it is possible for a customer to be included in both categories. The savers, those saving money at the bank, deposit their money with the bank in an account. The account will be housed and administered at their local branch. They will be able to pay money into the account either electronically via online banking or by visiting the branch. When they visit the branch they will pay either cash or cheques into their account by giving them to the bank teller. The saver will earn interest on the money deposited in their account. The borrowers, those borrowing money at the bank, will generally have to visit the bank and see the bank manager. The bank manager is the person who is in-charge of the branch and makes important decisions. The amount of money that you can borrow will be linked to how much money you earn at your job and how much you can pay back to the bank each month. The Bank will also charge interest on the money. The bank is able to use the money that the savers give to it for safe keeping to lend to the borrowers, who repay the money as well as extra interest. This extra interest is used to pay the savers’ interest on their accounts and for the bank to make a profit. 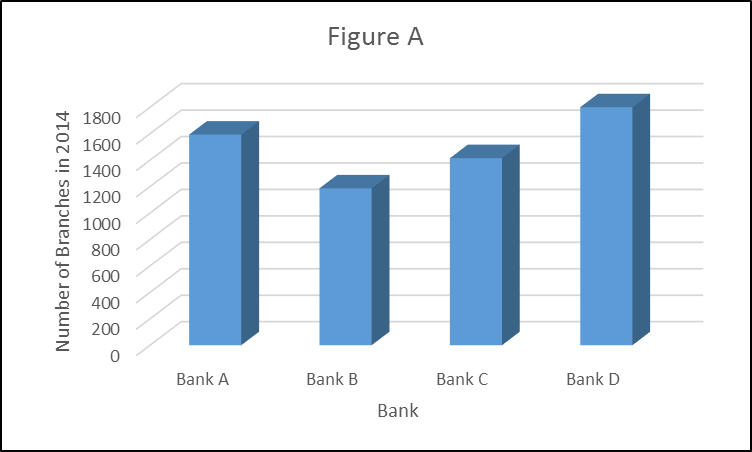 In this ESL banking writing task describe the data in the two figures below that relate to banks in the UK. 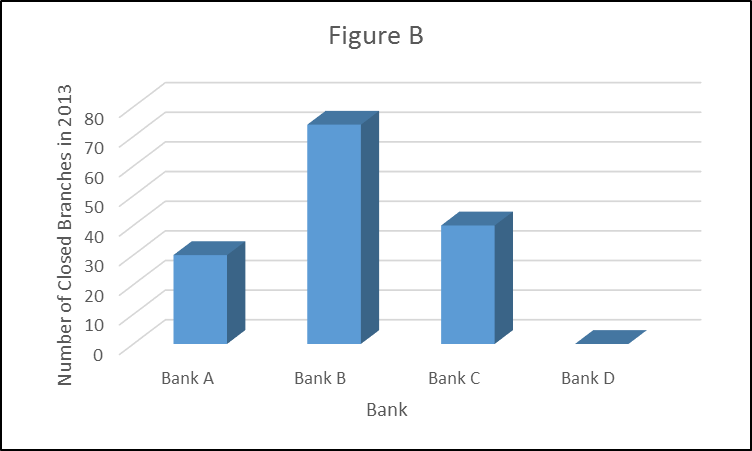 Figure A shows the total number of branches that the four biggest banks had open in 2014, while Figure B shows the number of branches that each of those banks closed in 2013. Write two or three paragraphs describing the information included in the two figures. In this part of the ESL banking writing page you need to write a role-play for the two situations described below. 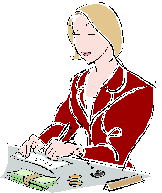 Each role play lists the people that will be involved and for who you will have to write lines as well as the location and specific situation. There are example conversations on the ESL banking conversation page that you can look at for ideas. Situation: There is a problem with the customer’s account and the bank manager has to try to help the customer. Situation: The customer needs help opening a new account.